The fourth recreational marijuana industry in the United States is ready for launch. Alaska’s adult-use program is just a few weeks from the first retail sales, according to estimates by multiple sources. A number of rec shops are scrambling to open their doors, perhaps by month’s end. The last hurdle is that local and state authorities must clear testing labs to open so cultivators can have their crops checked for potency and microbial contaminants. After that, growers will be allowed to begin supplying retailers, with owners putting the finishing touches on their storefronts. The Neades have other retailers right behind them, and may not be the first to open their doors. On Tuesday, The Remedy Shoppe in Skagway got final approval from the state, and is waiting for the first labs to begin testing product, just like Frozen Budz, according to a local NBC affiliate. Also on Tuesday, the Anchorage Assembly approved that city’s first rec shop as well, The Arctic Herbery. Its owner is aiming to be open by the first week of November, the same NBC affiliate reported. So far, the state has signed off on business permits for at least 60 cultivators, 17 retailers, four product manufacturers and a pair of testing labs. Regulators still have scores of applications to evaluate. Neade said Frozen Budz has received the necessary authorization from local officials, and only a few minor items are left to finish on their retail shop – such as installing security cameras – before a final inspection by the state’s Alcohol & Marijuana Control Office (AMCO). After that, the big question mark is when the two licensed testing labs in the state may open and begin accepting product to be tested for potency and contaminants. “I’m kind of looking for the middle to end of October,” said Mark Malagodi, the CEO of CannTest, one of the two labs. If all of those steps go smoothly, Malagodi said, his firm can start testing before the end of the month, and then cultivators will be able to move quickly to start supplying storefronts with product. But, of course, snafus can emerge that take time to fix. Alaska’s rec market is expected to hit between $25 million and $50 million in sales in the first 12 months after rec stores open, according to estimates in the Marijuana Business Factbook 2016. Voters approved adult-use cannabis in 2014. Once CannTest and the other licensed lab, Alaska Green Labs in Anchorage, are able to start testing cannabis, it should just be a matter of a few more days before retailers like Frozen Budz can start stocking marijuana products. “Whenever they open, we hope to be ready to transport it down. I don’t think we’ll be camping out in front, like for a rock concert or anything,” said Mike Emers, manager of Rosie Creek Farm, a cultivator in Fairbanks. Emers’ outdoor harvest was completed just days ago, he said, and he’s not even certain how much volume in crop he was able to accumulate. But it’s ready to go whenever either of the two labs can begin accepting samples. “I think the whole state is waiting for the city of Anchorage to OK their permit,” Emers said of CannTest and Alaska Green Labs. By being in Anchorage, the two testing labs are about a six-hour drive from Fairbanks, which adds some logistical issues for companies up north. And there remain other unanswered business questions surrounding cannabis transportation, according to regulator Cynthia Franklin, AMCO’s executive director. “We emphasize that our licensees have the right to transport marijuana from one licensed establishment to another,” said Franklin. Although there hasn’t been any specific word from the U.S. Department of Justice on whether it may object to transporting cannabis via plane or boat – which would be a first for any state-licensed marijuana business in the nation – Franklin said all indications are that the U.S. attorney in Alaska won’t make an issue of it. However optimistic the next few months may look for Alaska, there may be dark clouds on the horizon, too. For instance, Franklin said, the state legislature could try to overturn the 2014 ballot measure that legalized rec. That possibility has likely kept many potential cannabis entrepreneurs out of the game, because they want to wait and see if entering the industry is truly a safe bet. “I actually expect a lot of applications next spring, once the legislature adjourns, assuming they don’t repeal the ballot measure, because there are a lot of people who have decided to wait to invest until they know whether or not it’s real,” Franklin said. There’s also been local pushback. For example, voters in the Matanuska-Susitna Borough near Anchorage, which could be home to multiple cannabis businesses, were asked on Tuesday to ban adult-use marijuana companies, but the prohibition measure was defeated, the Alaska News Dispatch reported. There are other positive signs for MJ entrepreneurs as well. Franklin said AMCO’s board may consider loosening the state’s residency requirement for ownership in a marijuana business, which would be a positive development for out-of-state entrepreneurs. She also said on-site consumption at retail shops may yet still get the board’s green light. 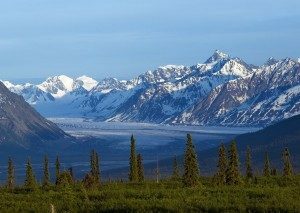 Over the long run, Franklin is optimistic Alaska could become home to around 1,000 licensed cannabis businesses. “About 900 or 1,000 is all the marijuana establishments the state can support, and that might be a few too many. But it’s going to be a free-market thing, where there’s too many at first and the market will decide how many are successful,” said Franklin.